Remarkable progress in neuro-oncology due to increased utilization of advanced imaging in clinical practice continues to accelerate in recent years. Refinements in magnetic resonance imaging (MRI) and computed tomography (CT) technology, and the addition of newer anatomical, functional, and metabolic imaging methods, such as MRS, fMRI, diffusion MRI, and DTI MRI have allowed brain tumor patients to be diagnosed much earlier and to be followed more carefully during treatment. 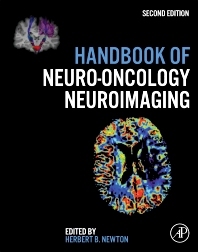 With treatment approaches and the field of neuro-oncology neuroimaging changing rapidly, this second edition of the Handbook of Neuro-Oncology Neuroimaging is so relevant to those in the field, providing a single-source, comprehensive, reference handbook of the most up-to-date clinical and technical information regarding the application of neuro-Imaging techniques to brain tumor and neuro-oncology patients. This new volume will have updates on all of the material from the first edition, and in addition will feature several new important chapters covering diverse topics such as advanced imaging techniques in radiation therapy, therapeutic treatment fields, response assessment in clinical trials, surgical planning of neoplastic disease of the spine, and more. It will also serve as a resource of background information to neuroimaging researchers and basic scientists with an interest in brain tumors and neuro-oncology.